I quite enjoyed Fate/Extella: The Umbral Star when it released on Switch on 2017, despite not knowing much about Type-Moon’s Fate franchise. Its story left me a little bit puzzled, sure, but its fast-paced combat won me over. And that combat is just one of the things that has been improved in Fate/Extella Link, a follow up that does pretty much everything right. Fate/Extella Link once again starts out with the digital realm known as SE.RA.PH being put in danger. And so of course, it’s up to you to fight for control of your little piece of digital heaven once again by making use of your Servants, and this time there are more of them at your disposal than ever. Though they’re not all available from the outset. 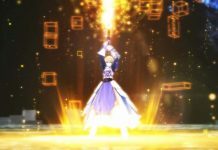 Servants become available as you progress through the game’s story, which this time has multiple branches as you dig further into it. Unlike Fate/Extella: The Umbral Star, however, the narrative doesn’t feel bogged down with needless exposition. 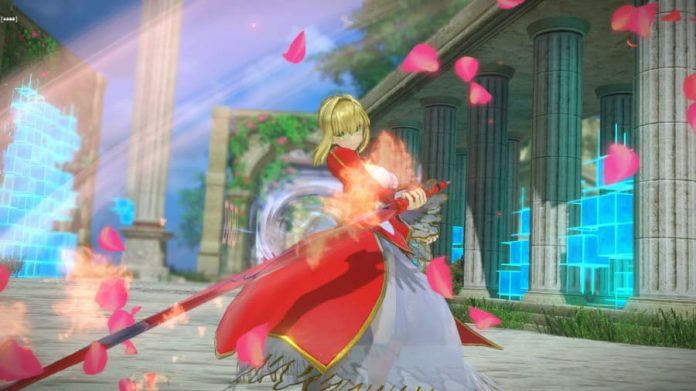 Fate/Extella Link‘s story moves along at a brisk pace yet doesn’t lose you, making it much more accessible for those who aren’t all that familiar with the franchise. In fact, I suspect many will find that its story is enjoyably crazy. It’s the Dynasty Warriors-style combat that’s once again the star of the show though. It’s fast-paced, there are a wealth of skills at your disposal, and it’s just so fluid and smooth. It’s hard to not have fun decimating thousands of enemies as you move from one section of a battle map to another, completing objectives as you go. 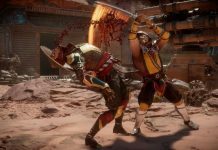 The only thing that sometimes detracts from the fun a little is the game’s camera, which does its best to give you a decent view of the action but sometimes struggles due to how much is actually going on. Fate/Extella Link‘s characters are also a high point. While your own avatar is remarkably dull, it doesn’t matter, as you don’t control them on the battlefield. Instead, you take control of one of the game’s 26 Servants, each based on a historical character. What makes them special is their larger-than-life nature. They all have big personalities that make them stand out from one another. And the same goes for your enemies, too. While the fodder that you beat on the majority of the game’s battle maps are generic robots, the numerous enemy servants make up for it by providing some intense battles which are usually preceded with some entertaining dialogue. In order to get the most out of your Servants, you need to interact with them outside of battle. 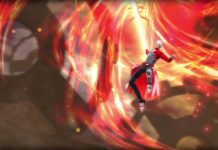 Just like in Fate/Extella: The Umbral Star, their abilities can be expanded upon by installing skills and assigning Mystic Codes. Bonds can also be formed by chatting to them regularly, allowing you to enhance them even further. To get the most out of each of Fate/Extella Link‘s characters on the battlefield, you need to invest in them in your downtime. And unlike in many games that have similar systems, it’s not dull or arduous. 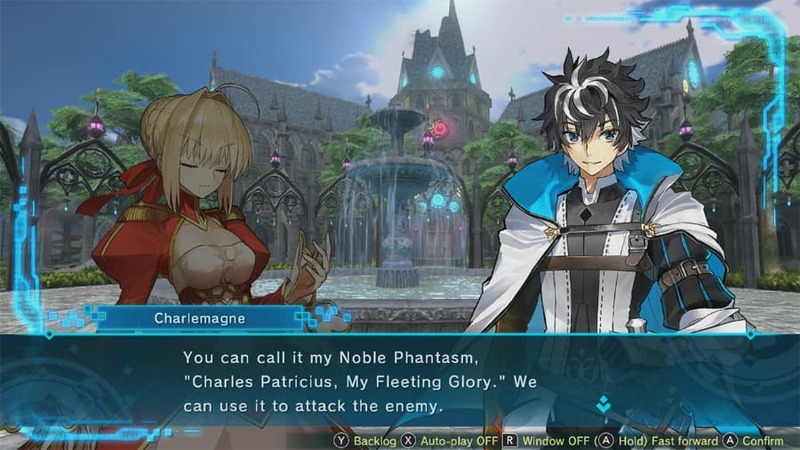 Outside of Fate/Extella Link‘s story, which admittedly is quite a bit shorter than its predecessor’s, there’s an Extra Battle mode which allows you to eke out some additional gameplay from the title, and online multiplayer. 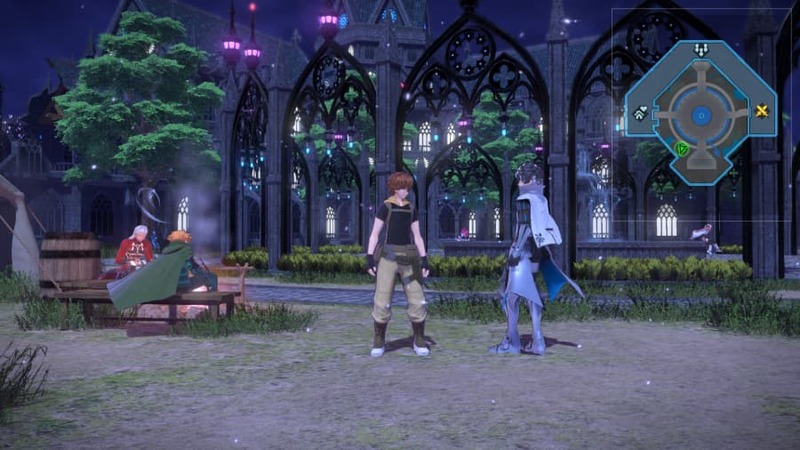 Pitting two teams of four players against each other, Fate/Extella Link‘s online multiplayer sounds like it could be fun, but unfortunately I haven’t been able to actually find anyone to play it with. Hopefully that will change now that the game has launched, but I wouldn’t be surprised if it doesn’t. For those who are really into the Fate franchise, a gallery is also included that allows you to check out each of the game’s Servants in closer detail, listen to the game’s background music, revisit story scenes and more. Though of course, you have to unlock the entries first. It won’t float everyone’s boat, but it’s there for those who care. 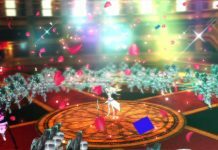 Fate/Extella Link doesn’t provide an experience that’s a million miles away from Fate/Extella: The Umbral Star, but pretty much everything about it is just better. Its story is shorter but more entertaining, its combat is massively improved thanks to you having more abilities at your disposal, and it both looks and sounds better too. If you’re a fan of the Fate franchise then this game is an absolute must. 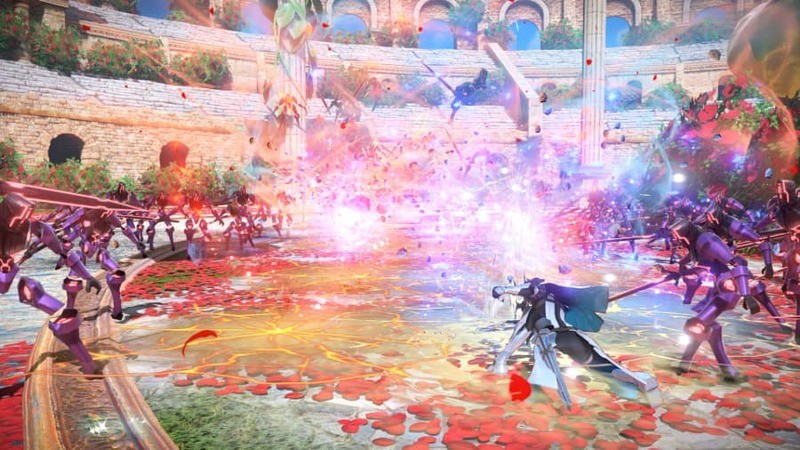 And even if you’re not familiar with Fate, Fate/Extella Link provides an interesting and wholly engrossing variation on the tried-and-tested Dynasty Warriors gameplay. Fate/Extella Link is available on PS4, Switch and PC. We reviewed the Switch version.